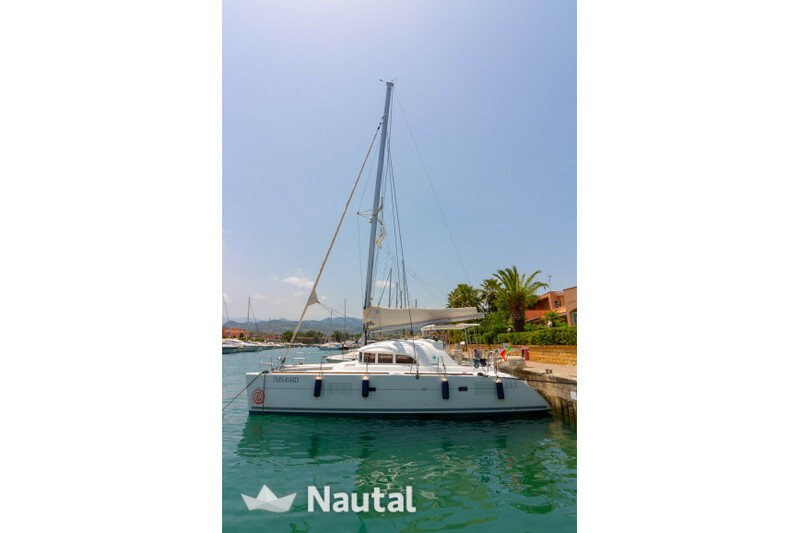 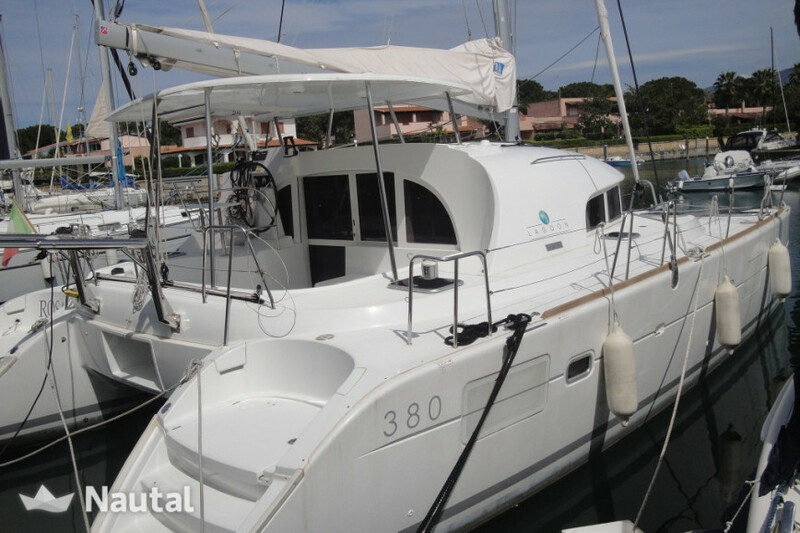 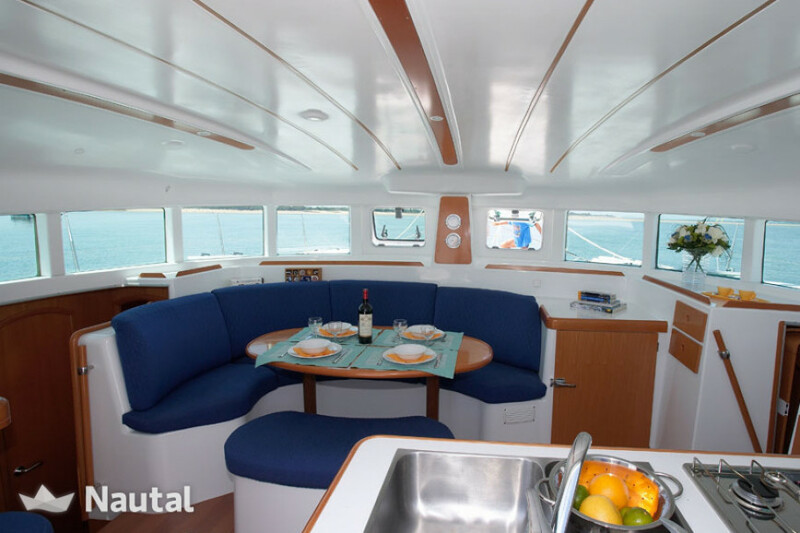 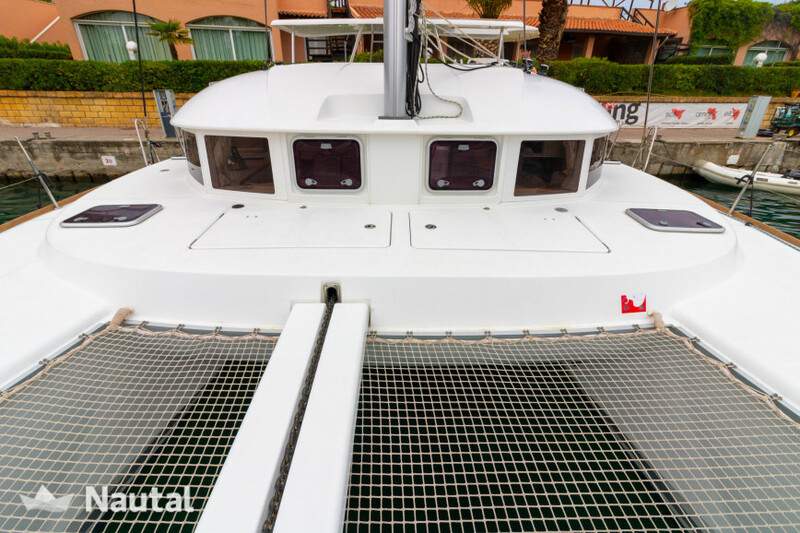 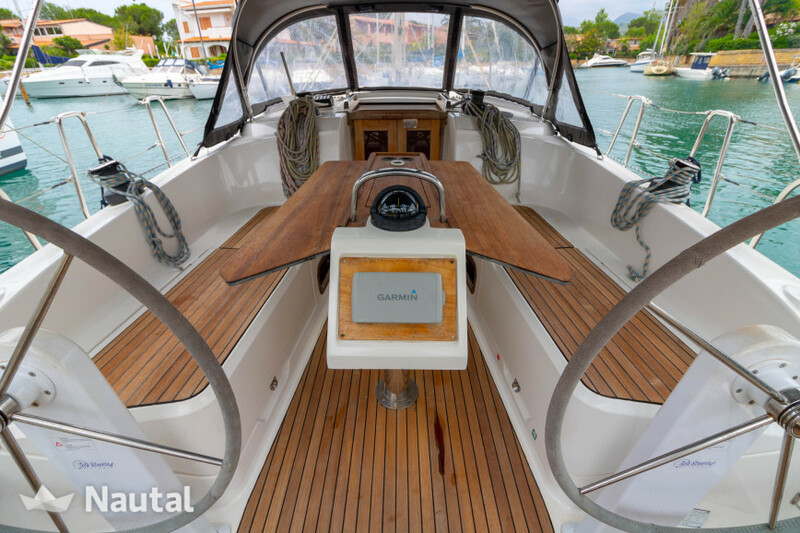 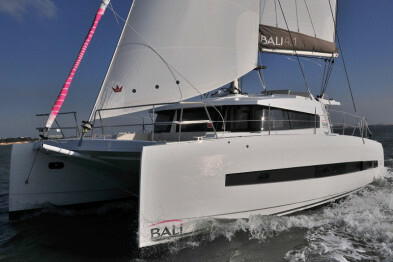 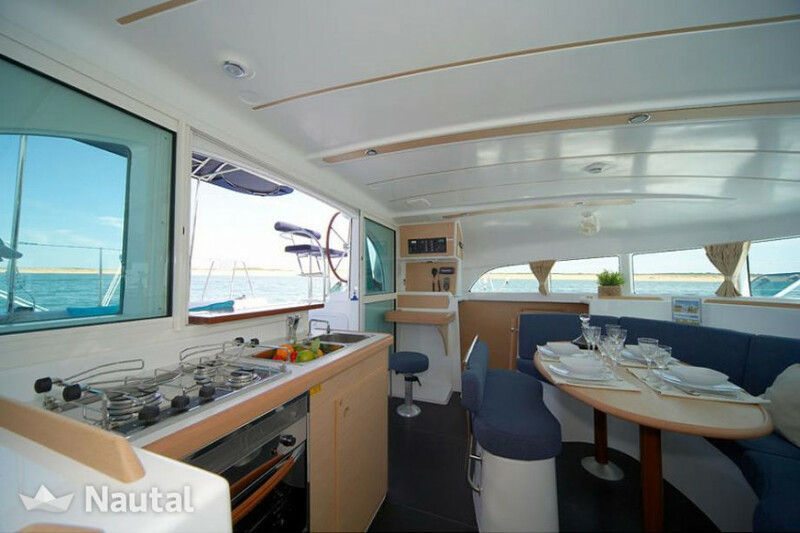 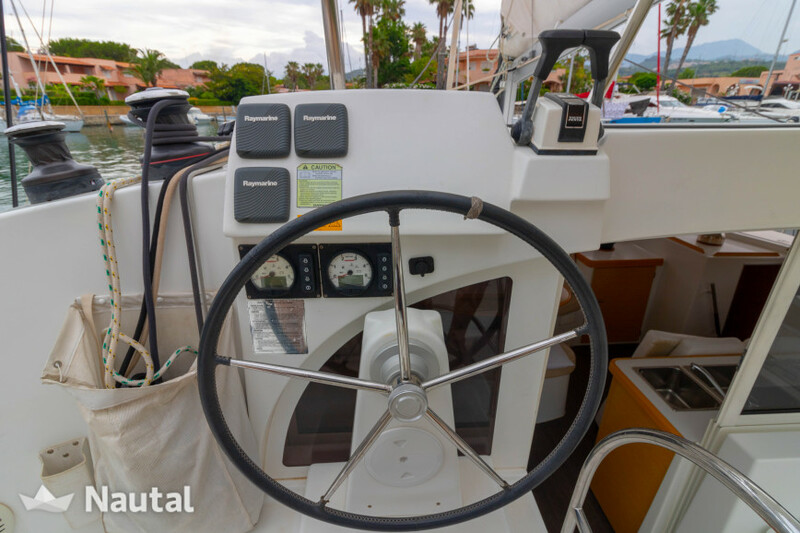 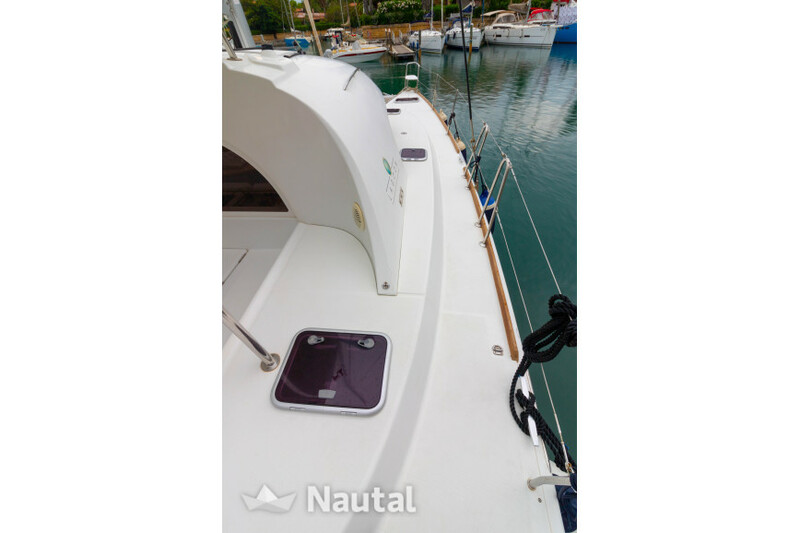 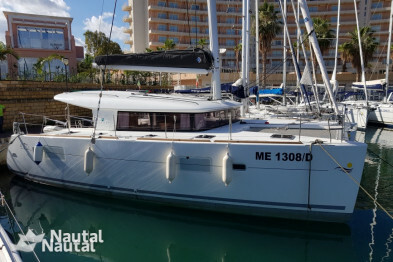 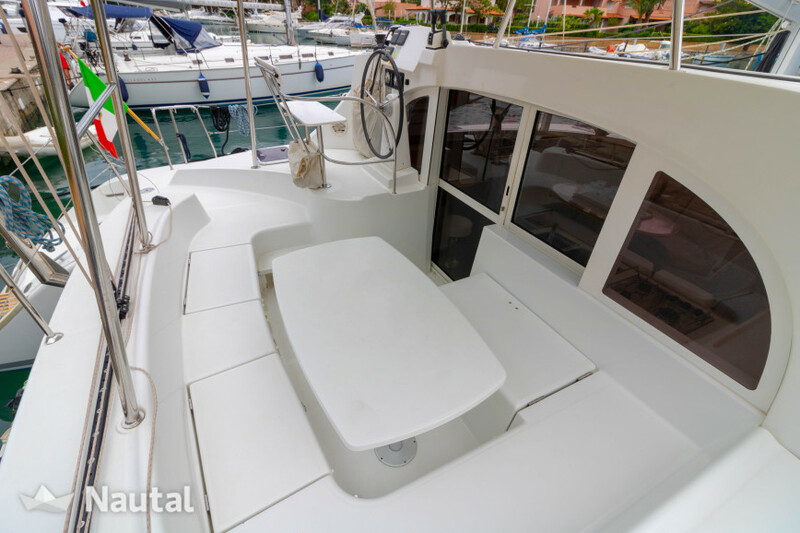 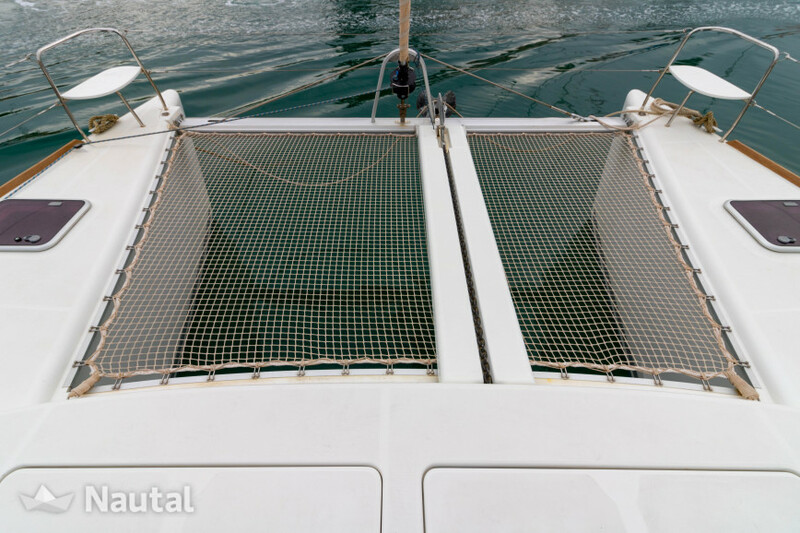 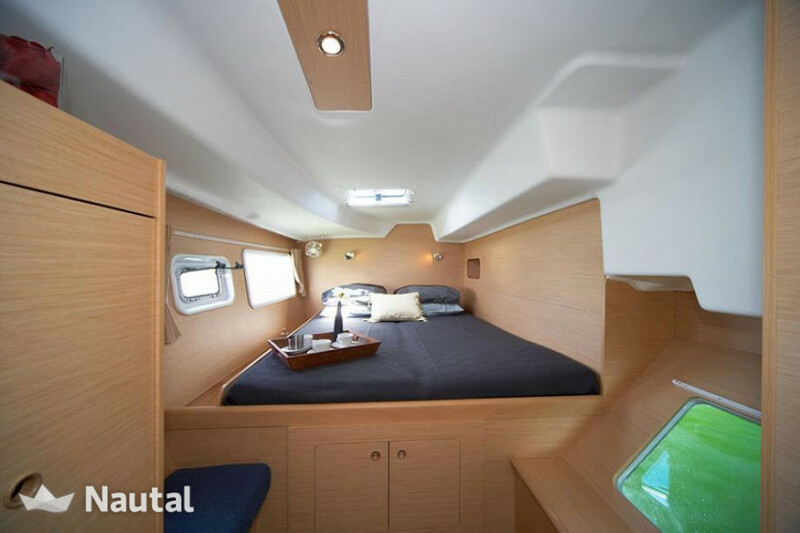 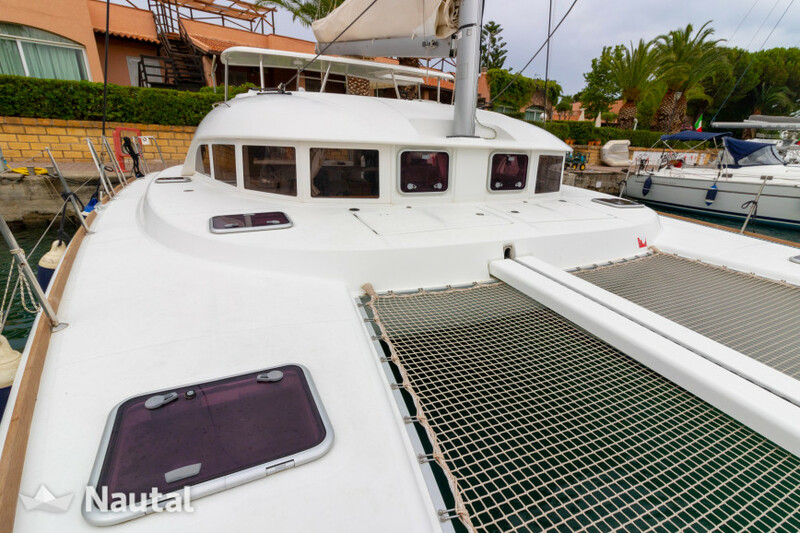 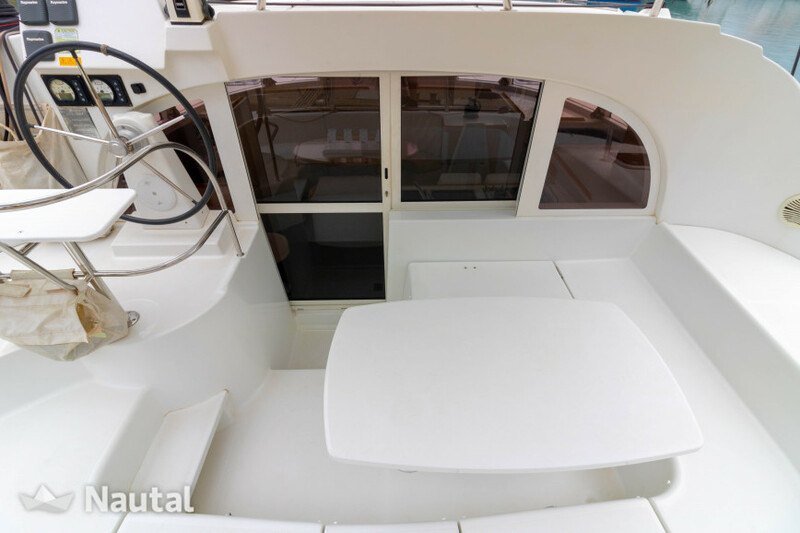 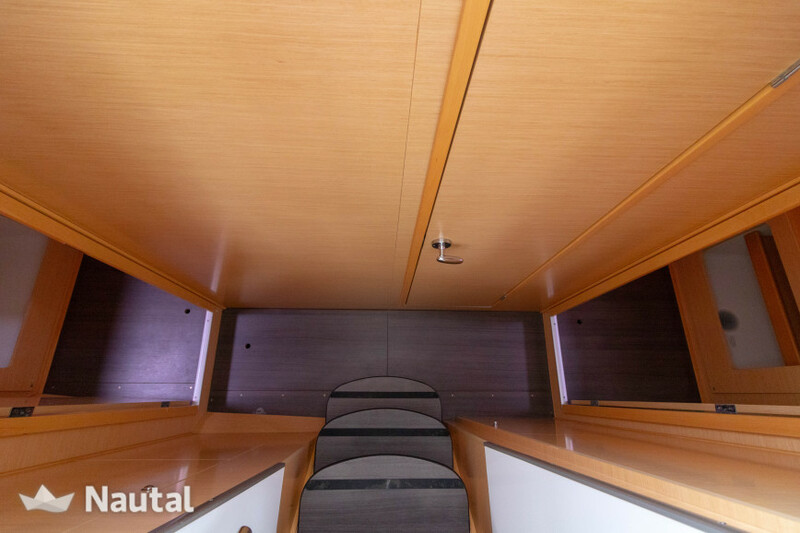 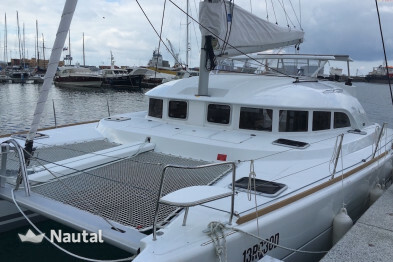 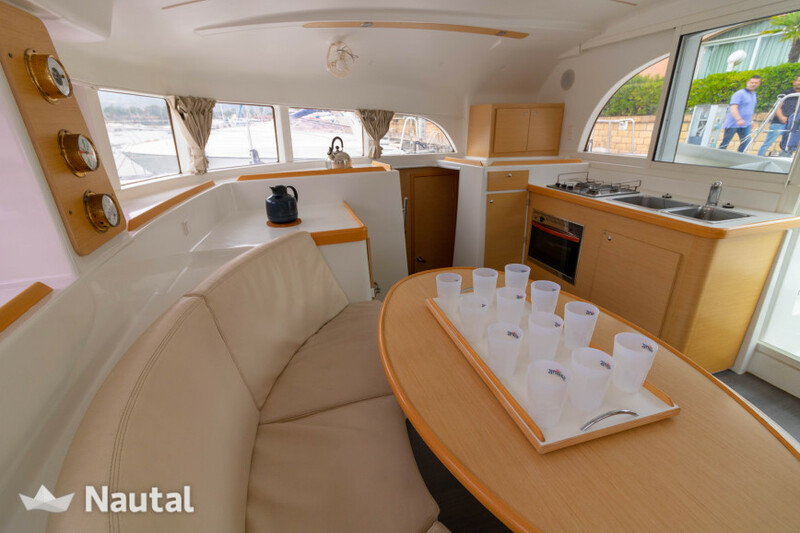 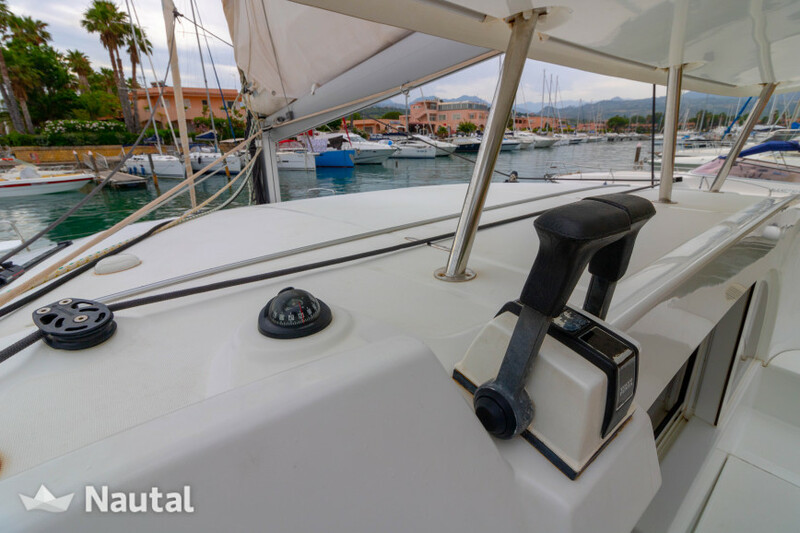 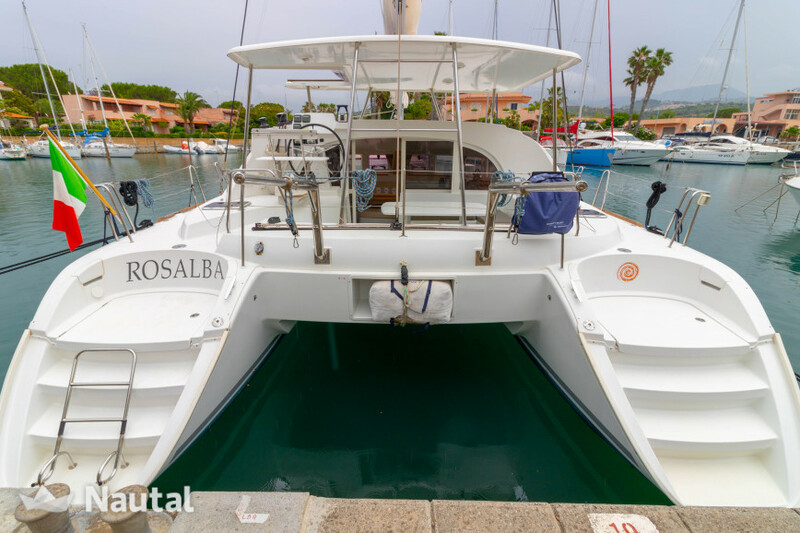 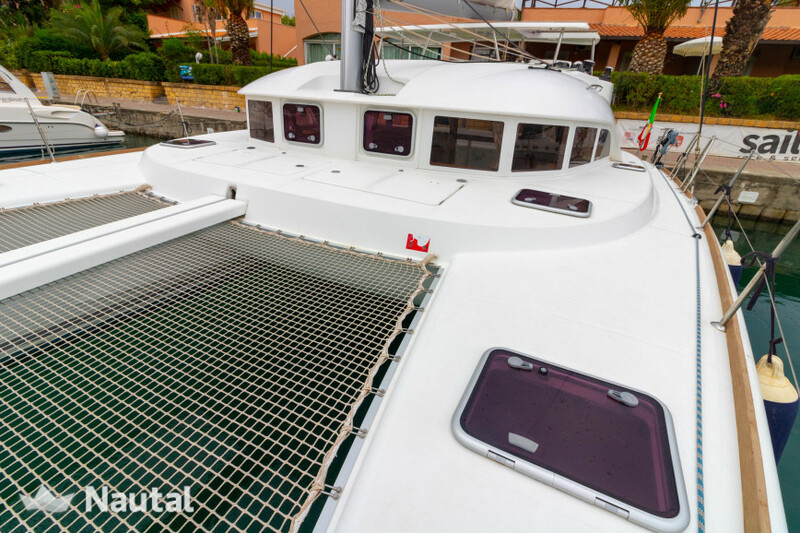 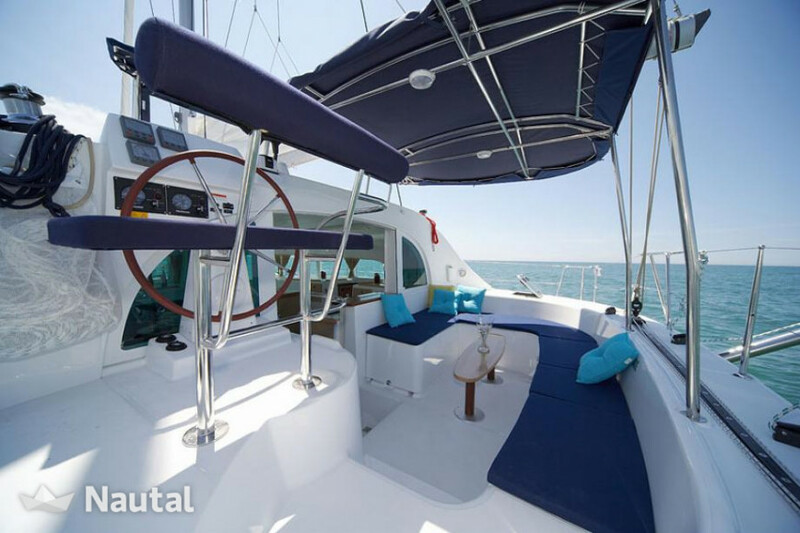 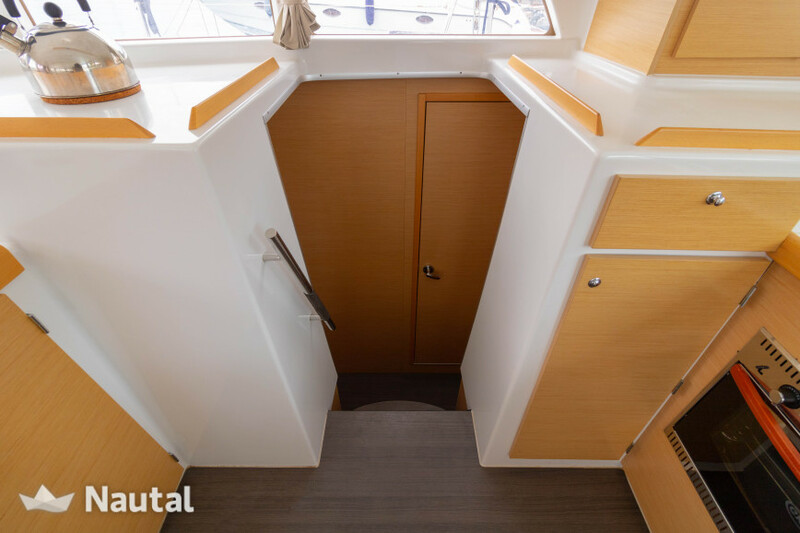 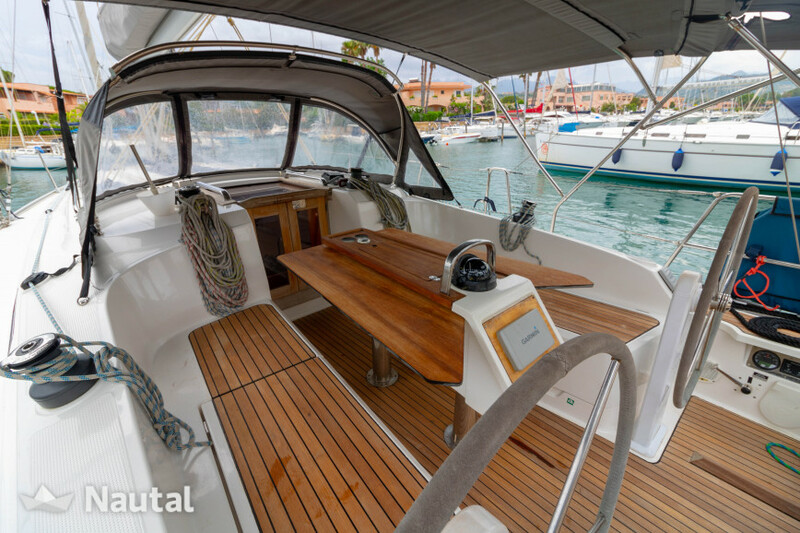 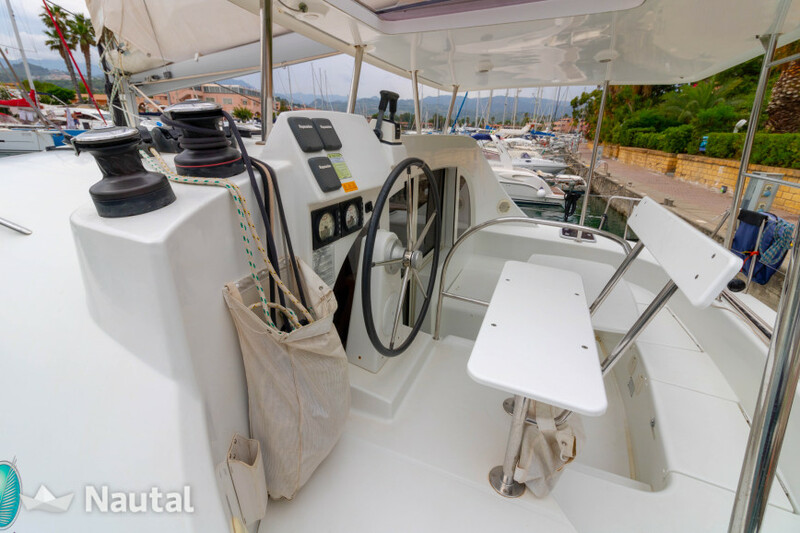 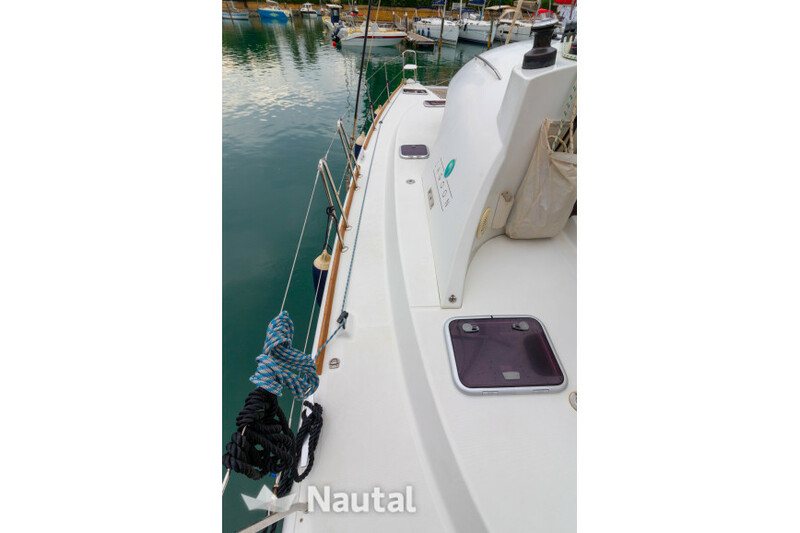 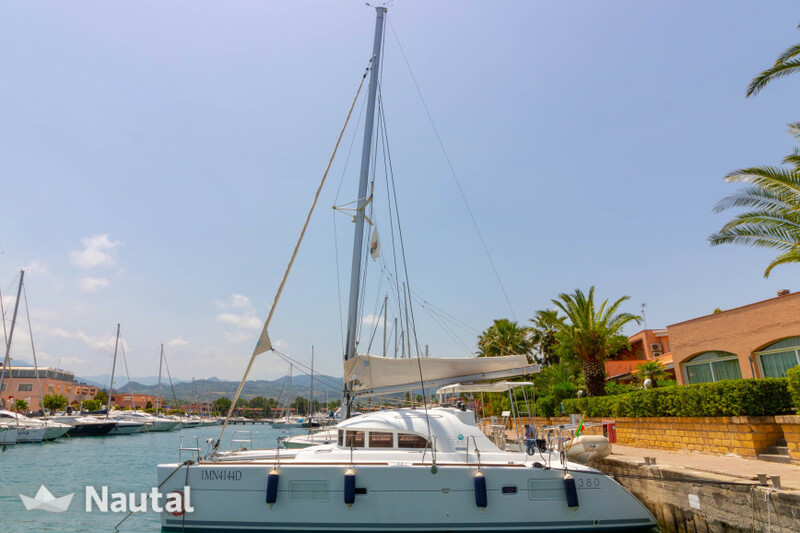 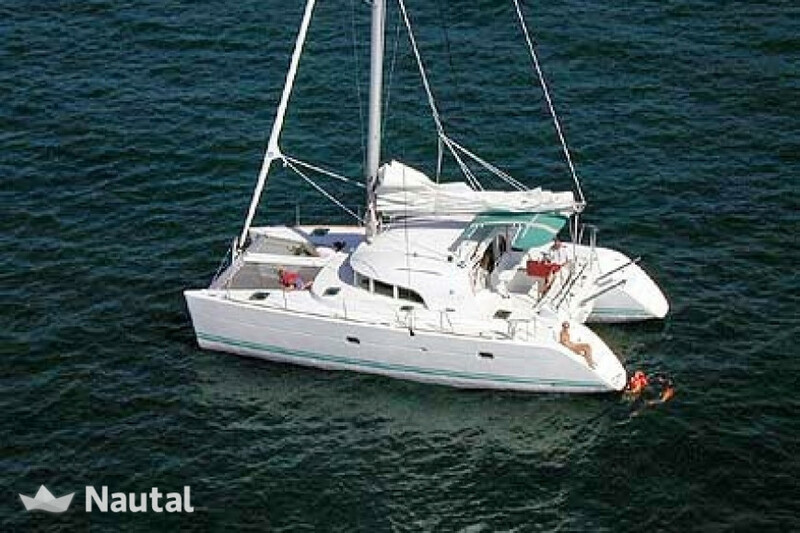 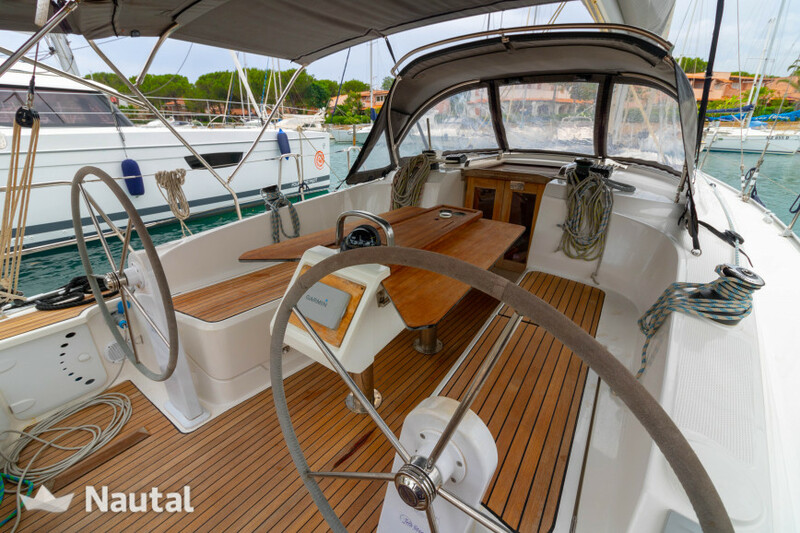 Go sailing with this catamaran with 11.55m length in Marina di Portorosa, Sicily! 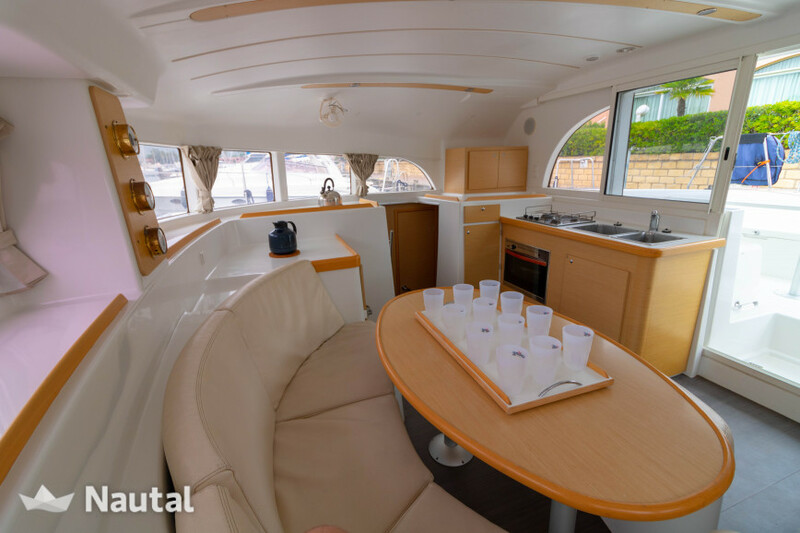 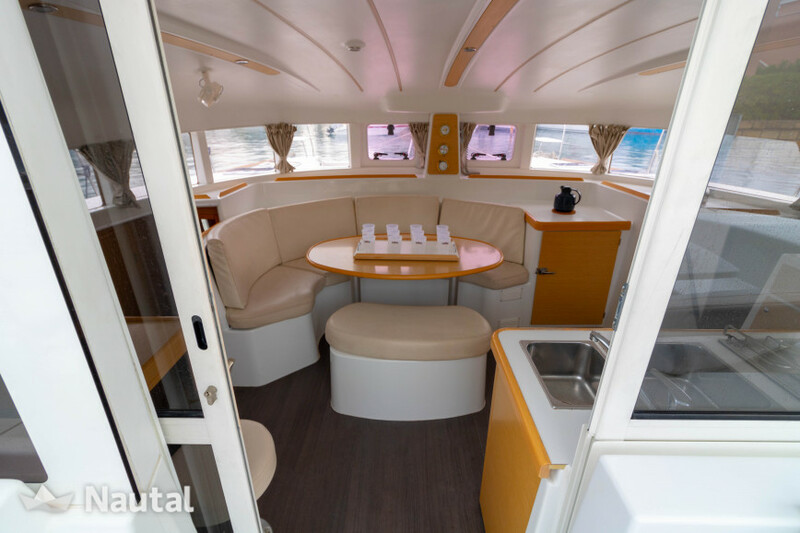 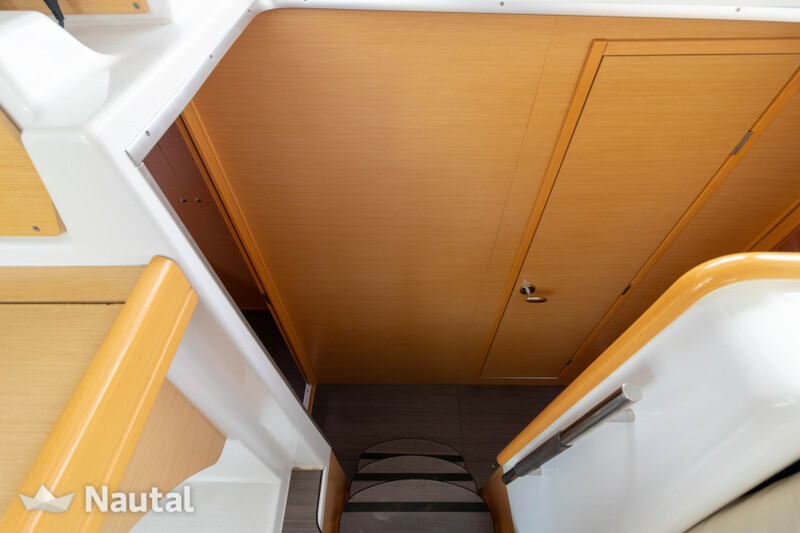 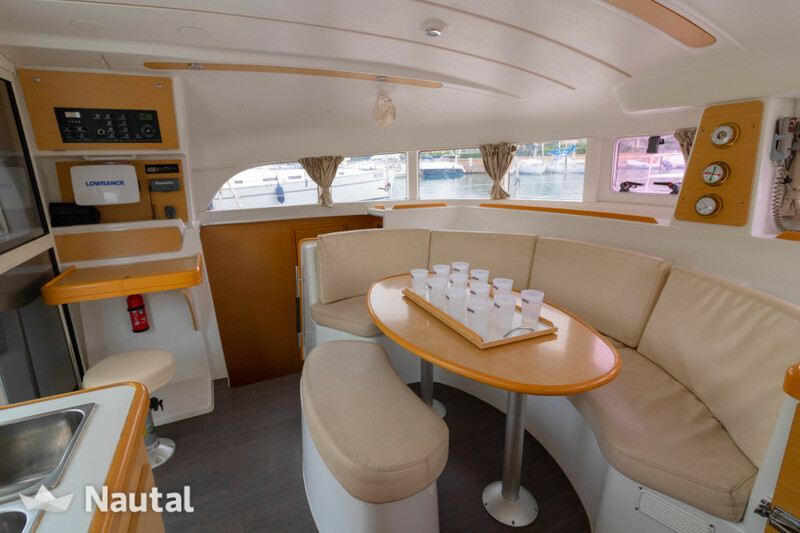 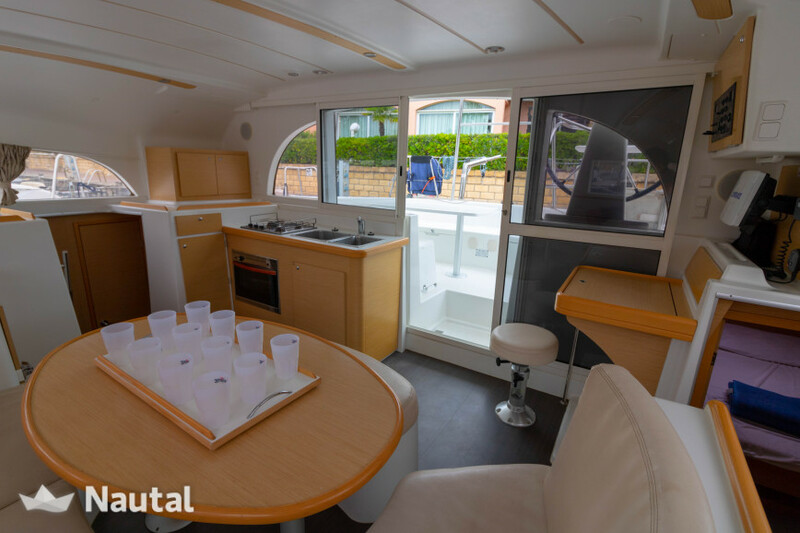 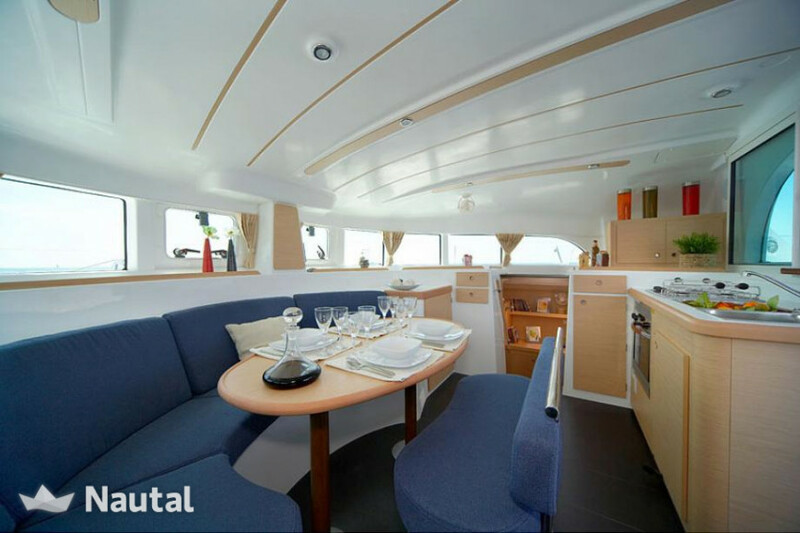 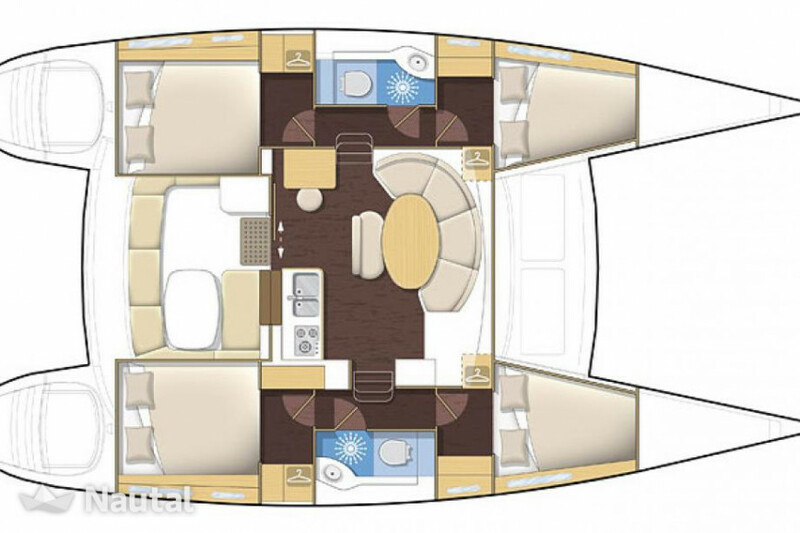 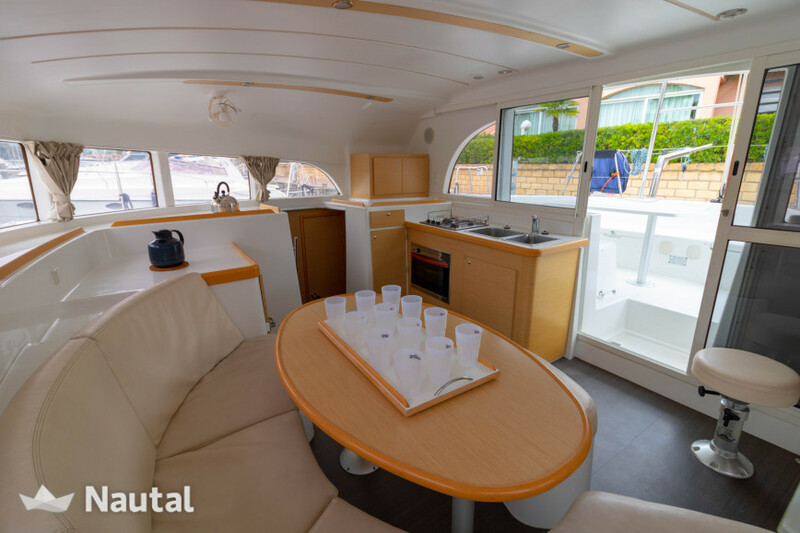 This elegant Lagoon 380 is characterized by its comfortable and very large interior spaces, allowing the guests to live an incredible experience on board. 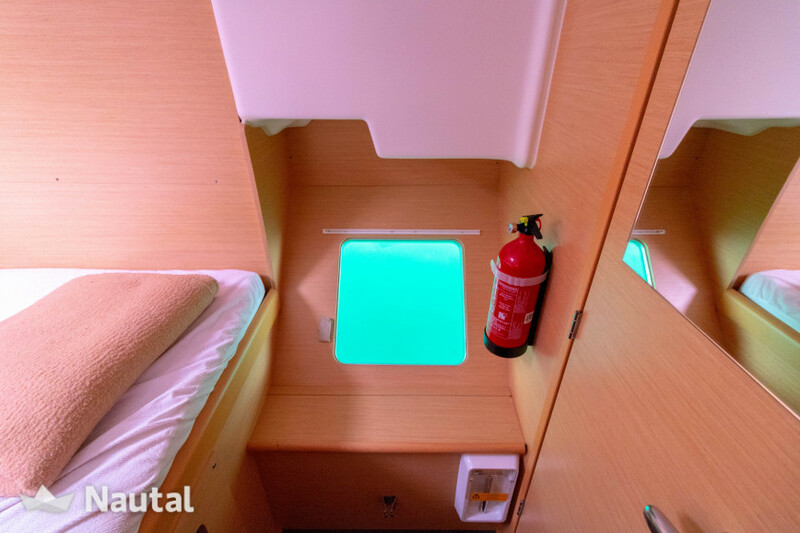 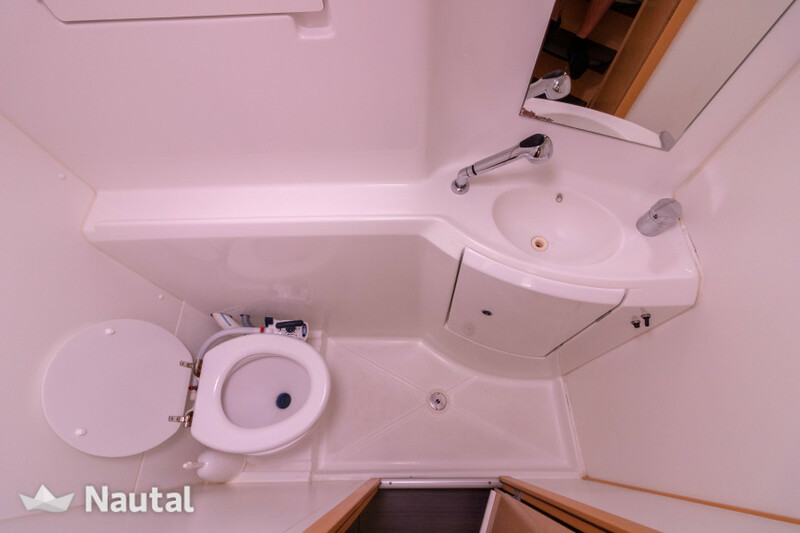 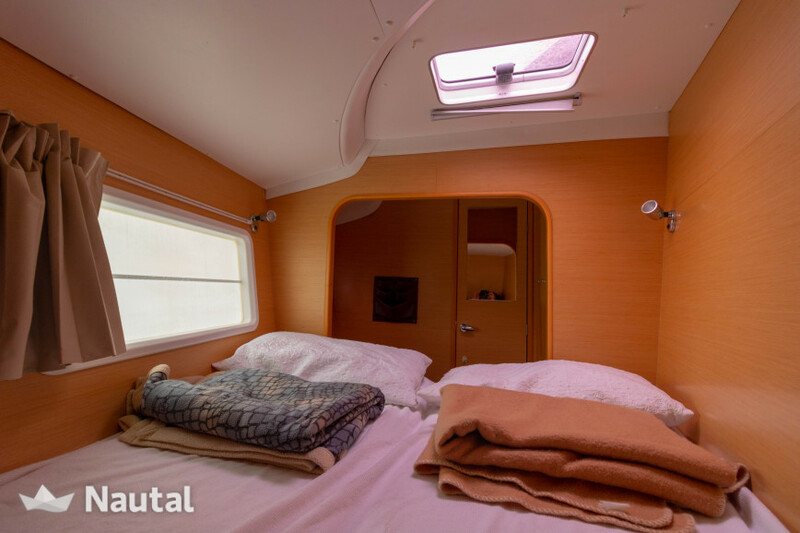 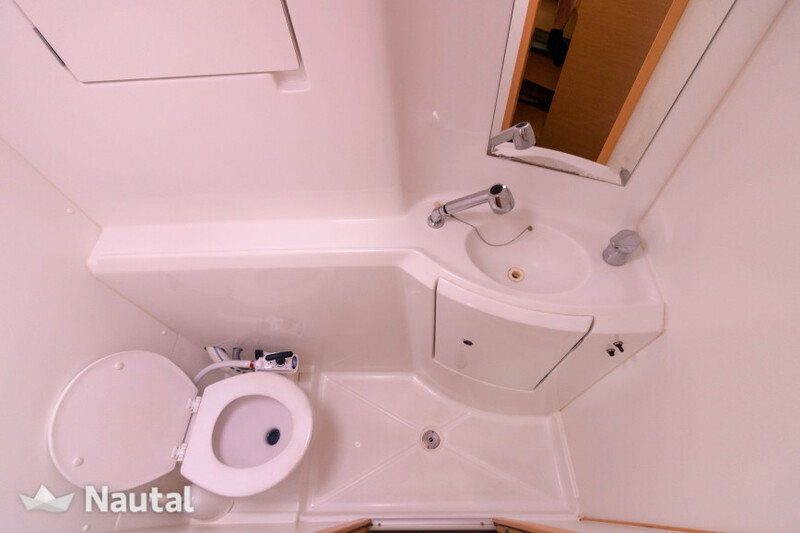 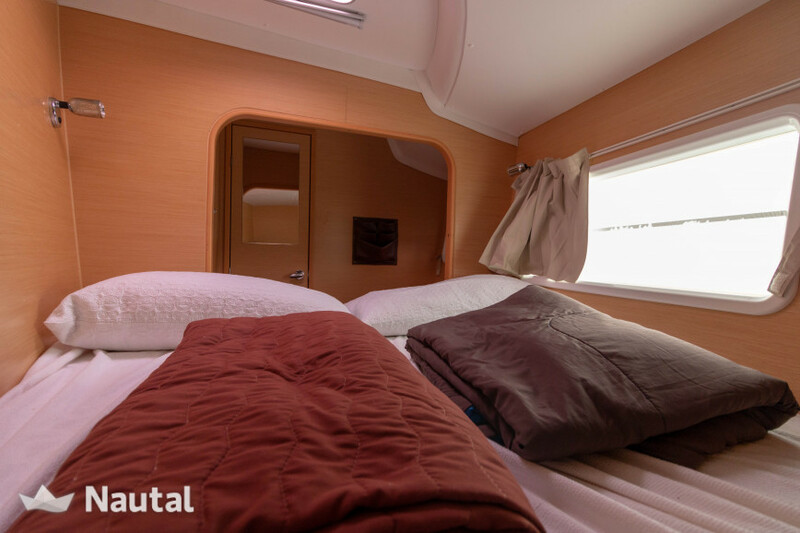 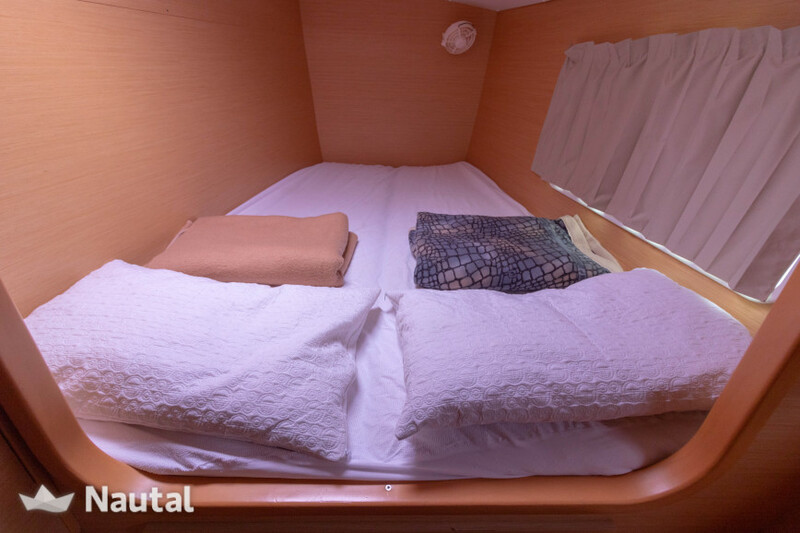 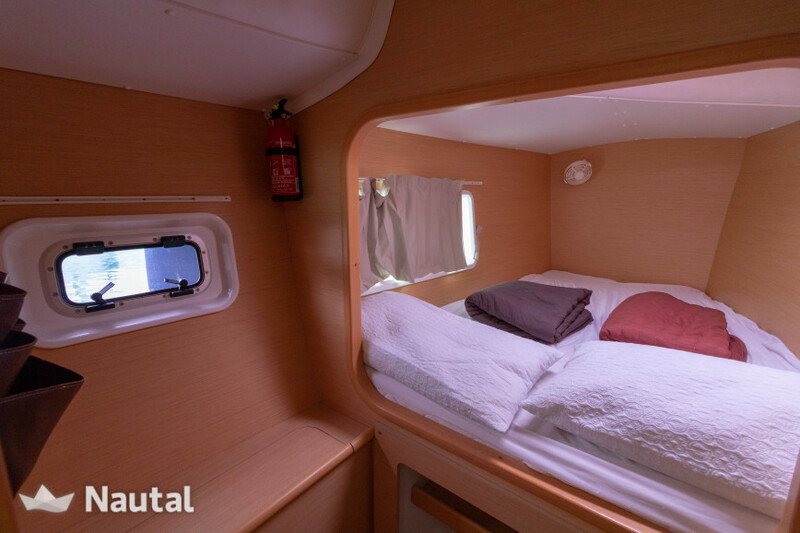 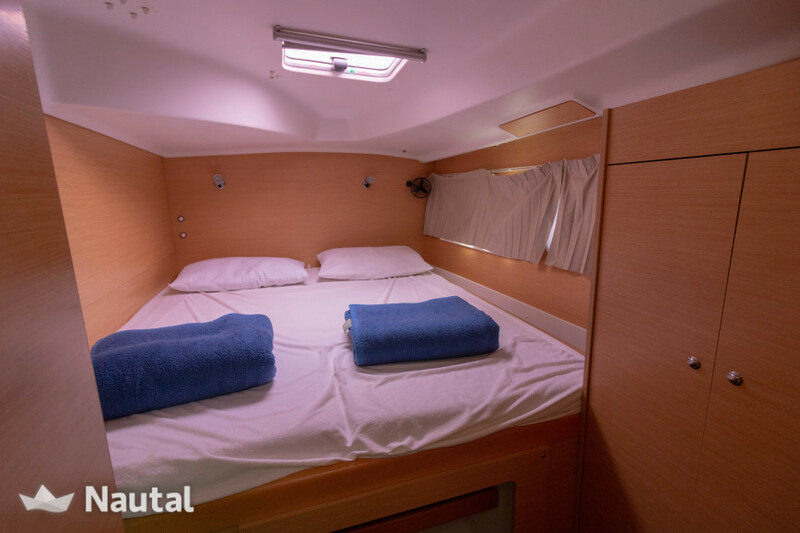 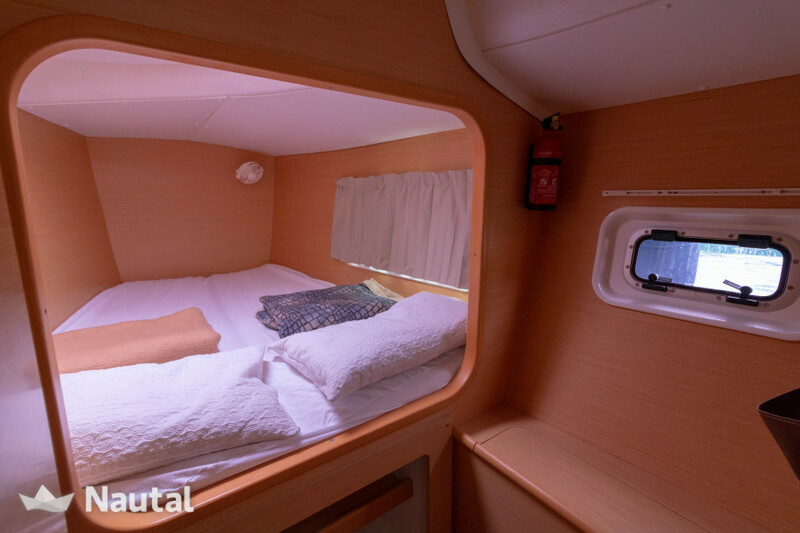 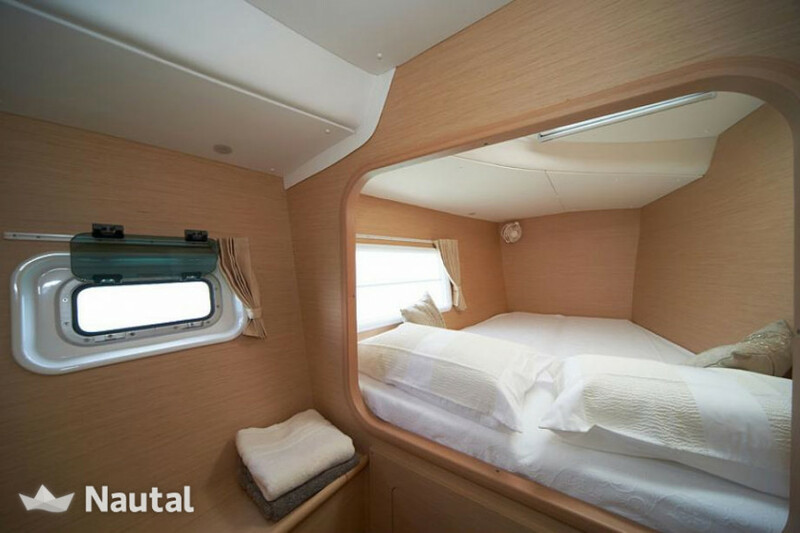 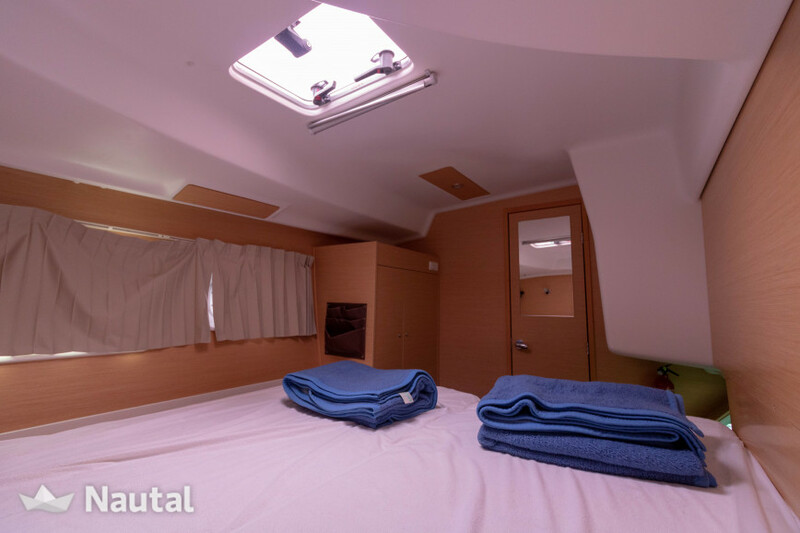 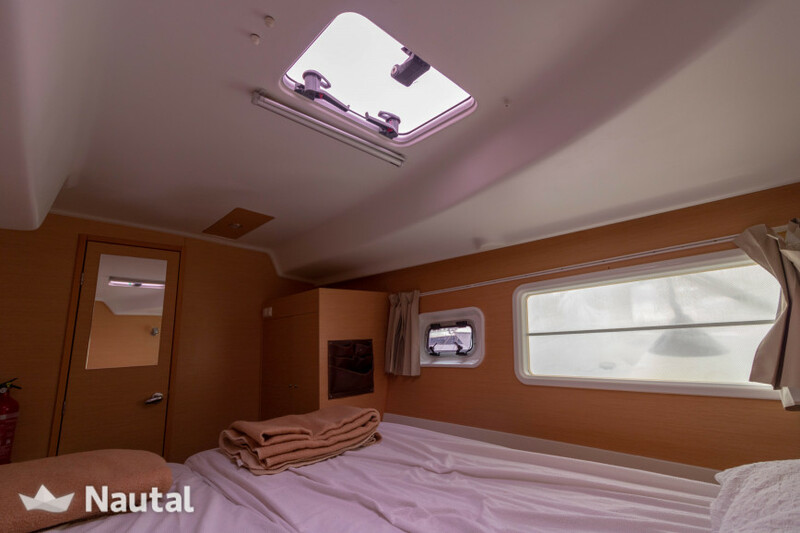 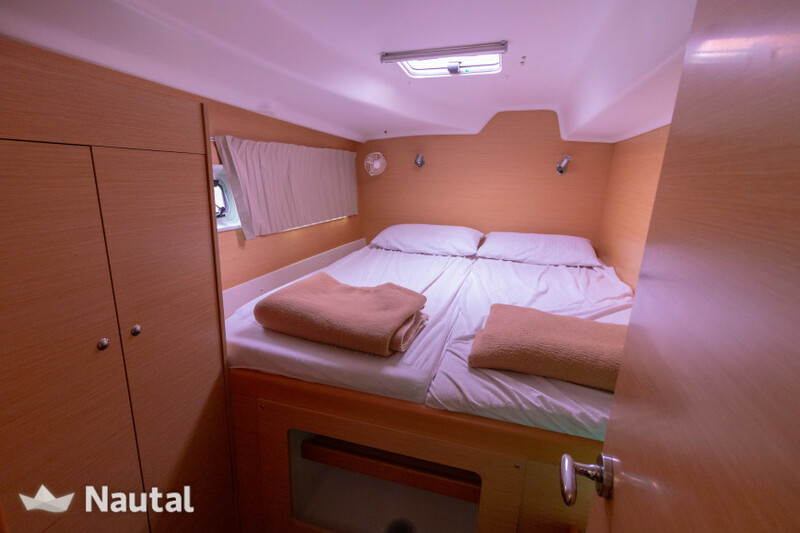 It can host up to 12 people in its 4 cabins and 2 bathrooms. 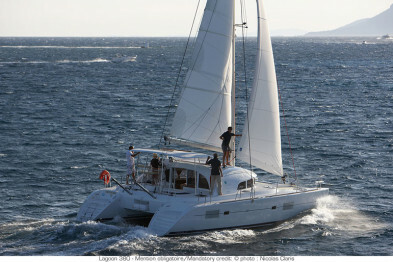 Performances are really good, also with wind scarcity thanks to its 2x20HP engines. 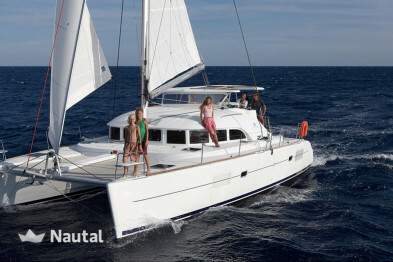 Rent your catamaran now and go discover Sicily and its beauties! 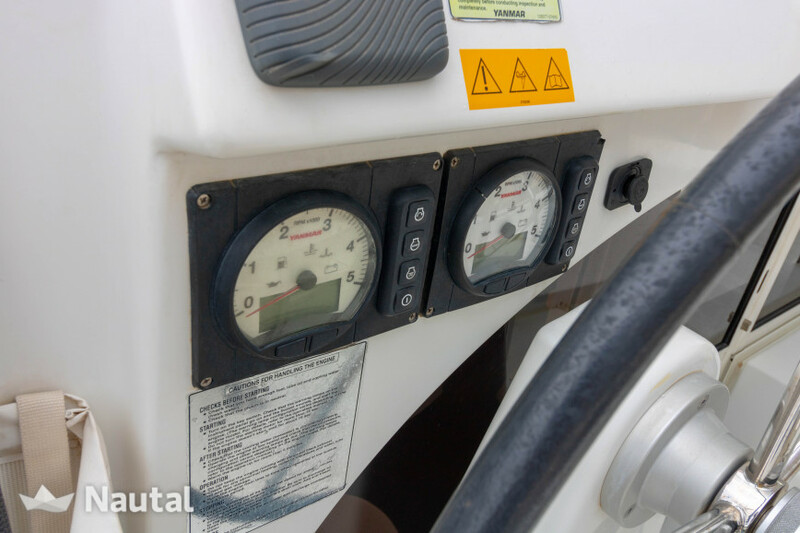 The motor has 2 x 20 HP. 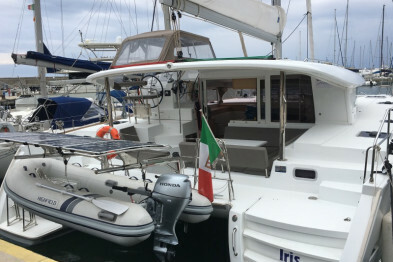 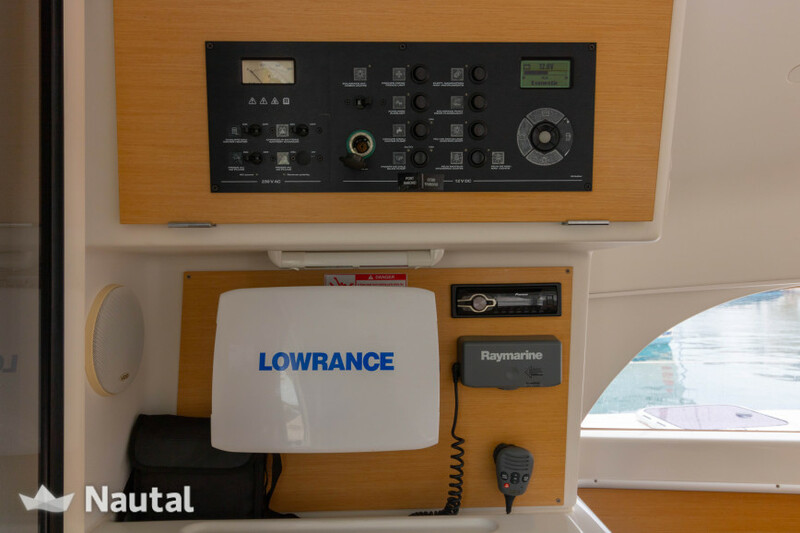 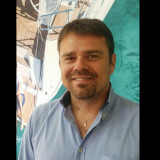 Further equipment: furling (Roll) Genoa, autopilot, chart plotter, depth sounder, GPS, log speed, VHF Radio, wind instruments, windspeed meter (anemometer), battery charger, CD player, radio AM/FM, bimini top, cockpit shower, cockpit table, electric anchor windlass, shore power cable (220V), sprayhood, steering wheel, dinghy, hot water, extra refrigerator and refrigerator.